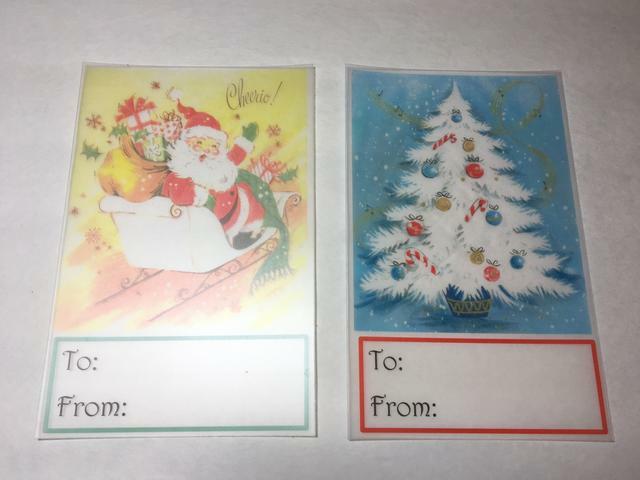 Project Description: This project will show you how to use Grafix Inkjet Shrink Film to turn images of vintage greeting cards into some fun and unique gift tags for your holiday gifting. 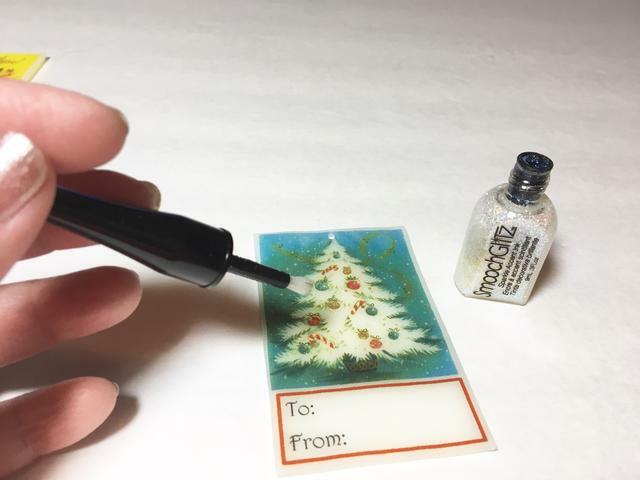 Wonderful ornament idea too! 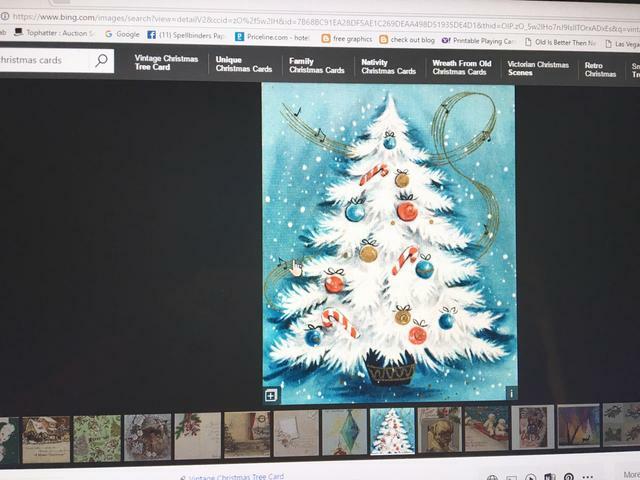 Search for “vintage Christmas card” using your choice of search engine, then click to view by “images”. 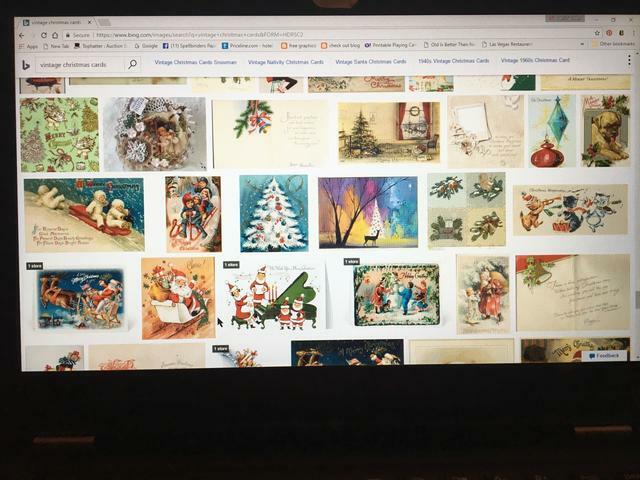 Save your choice of image to use for a tag. When your project bakes, the colors will darken and intensify considerably. So lighten your images and also reduce color saturation. 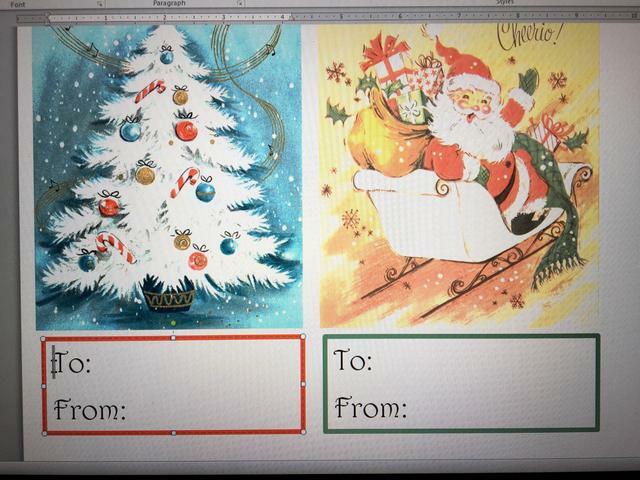 Next, insert a plain text box under each image. 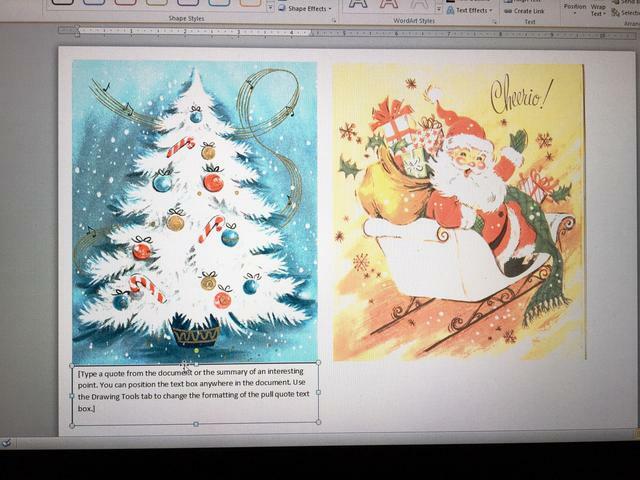 Change colors and design of borders to coordinate with your images. 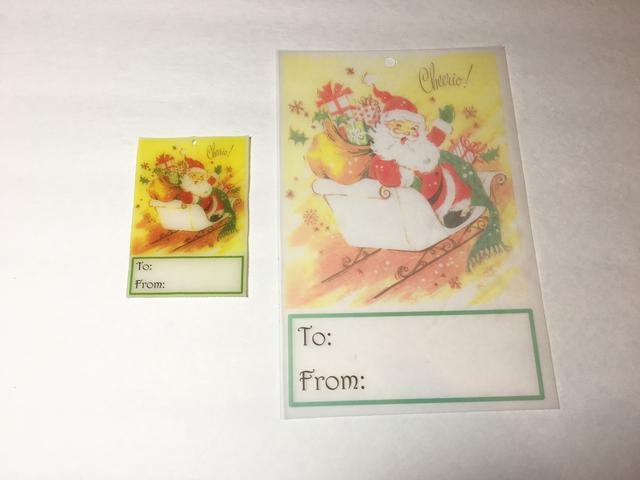 Then add “to” and “from” in your choice of font and print tags onto the Shrink Film. 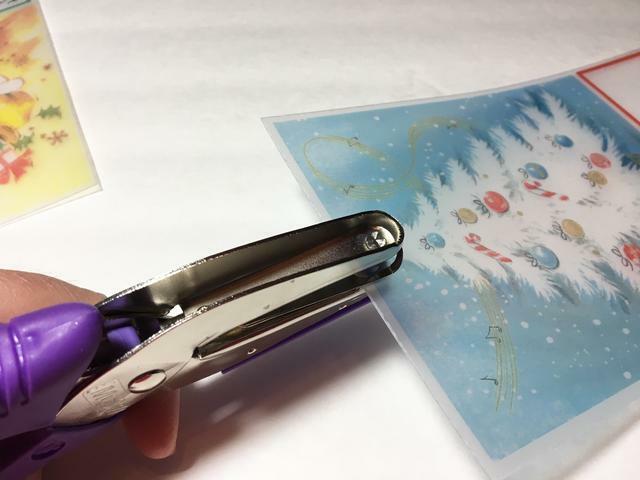 Cut out tags using a paper trimmer or scissors. Measure top of tag and mark placement for hole at the center top. Punch a hole at the top of each tag. 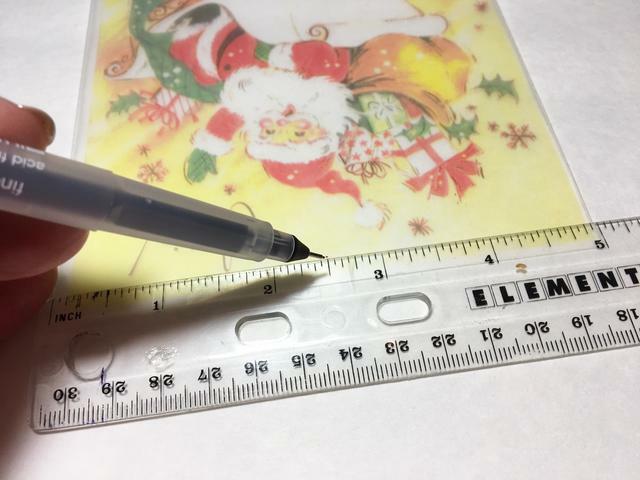 Be sure you use at least a 1/4″ punch, as holes will shrink considerably. 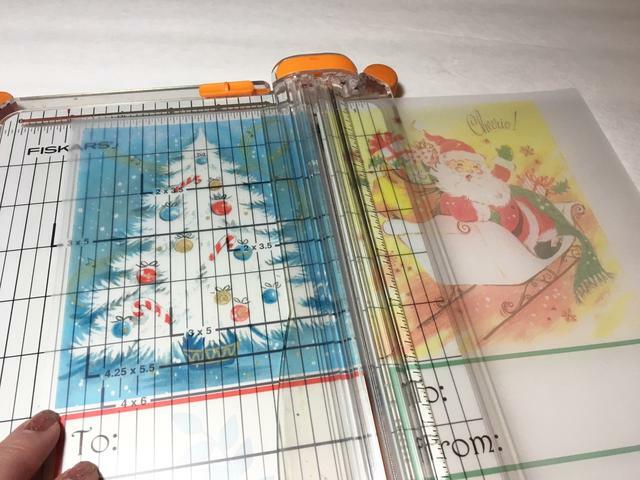 Place tags on a parchment lined baking sheet, being sure not to crowd and bake as directed on the package. 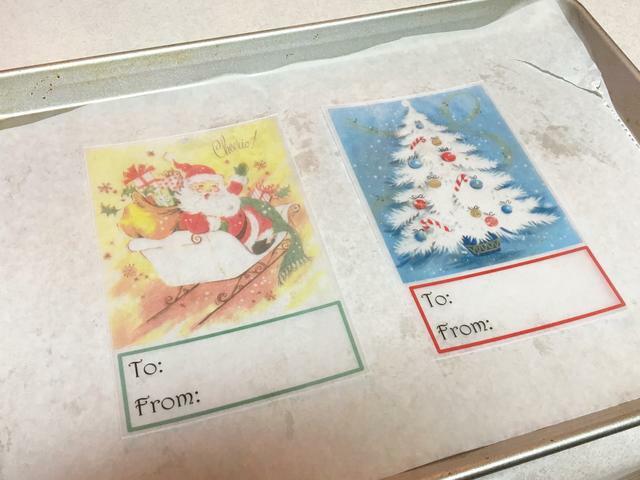 Tags before and after baking. 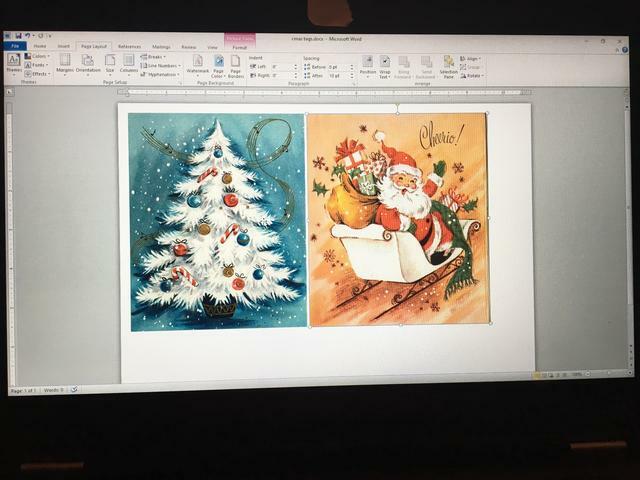 Note size and color differences. 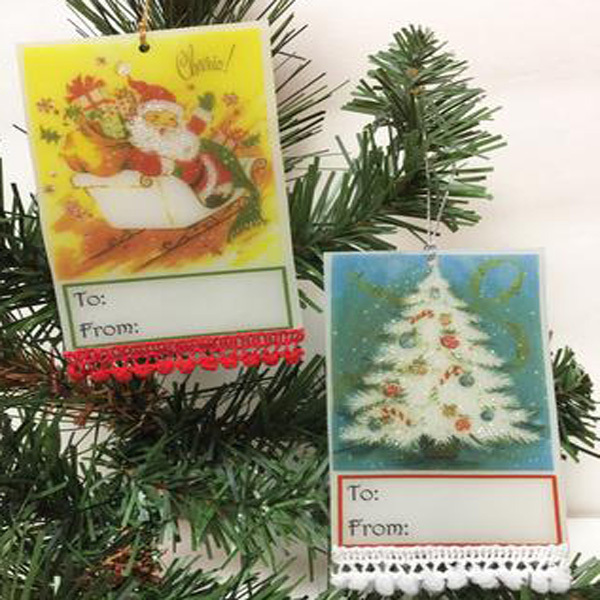 To add a little bling to your tags, use Smooch Illuminate to highlight items with a bit of shimmer. 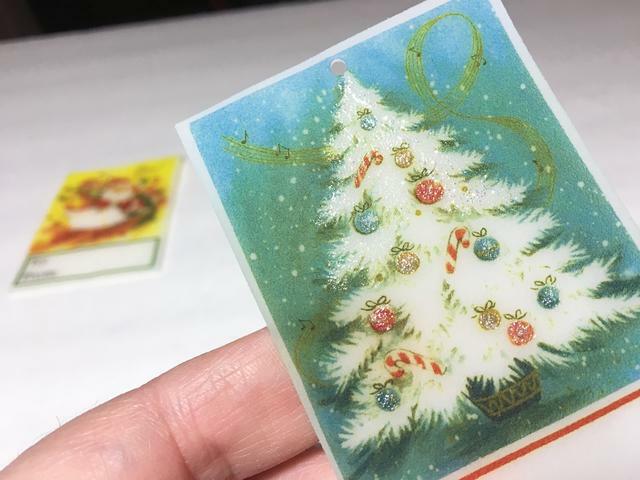 I added it to the ornaments on this tag. 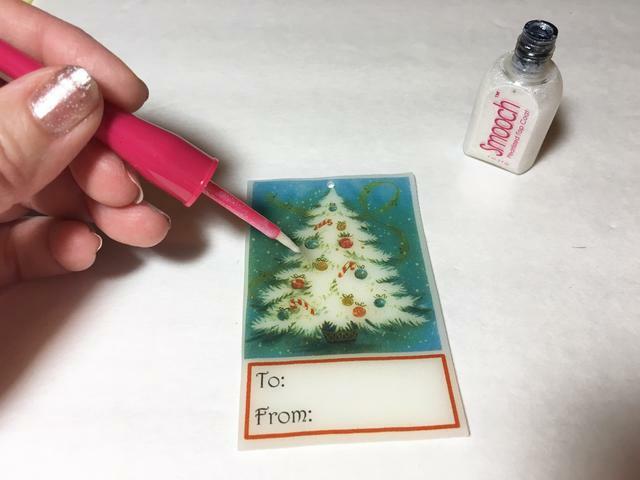 Close-up of the tag to show shimmer added with the Smooch Illuminate. 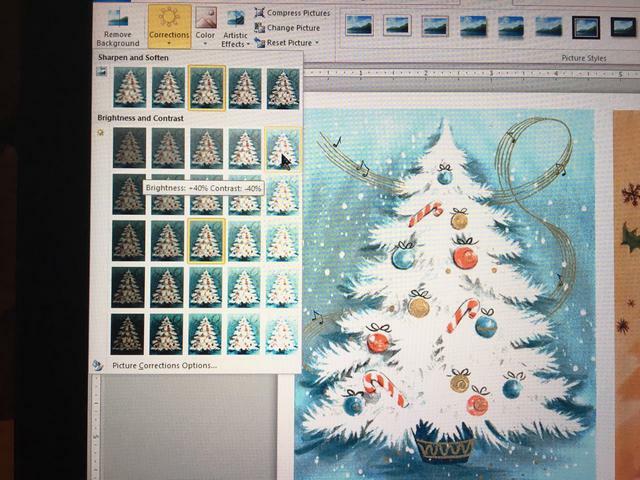 Next, I added frosty glitter accents to the tree branches using Frost Smooch Glitz. Close-up of glitter added to branches. 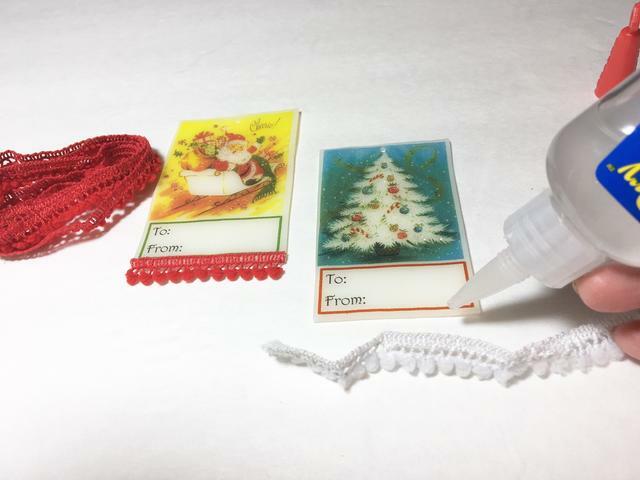 Adhere mini Pom Trim to bottom of tags using Zip Dry. Tie tags using the metallic cord to finish.